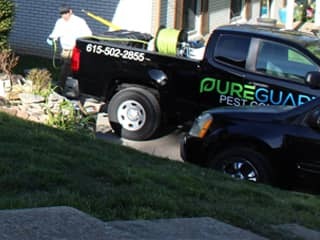 Pure Guard was created and remains a family-owned, Nashville-native pest control business. We all grew up in Nashville and before coming together as business owners had careers working for other pest control businesses in the area. We had plenty of opportunities to learn the intricacies of the trade and to see what a great service pest control companies provide to Nashville's neighborhoods. We also saw plenty of things that could be improved upon. That inspired us to start this business and do it right. Honest work, painstakingly thorough style, and great value lay at the heart of our company. We do not cut corners. We do not select inferior products to cut costs. We do not rush through jobs to get to the next one. We act swiftly but make sure to pay careful attention to every detail. Often, if one little nest is missed, the pests will return. We chose pest control products and methods to fit each individual situation while always keeping the environment, your safety, and your health in mind. Our goal is to leave every customer feeling that they received an exceptional value at a great price. 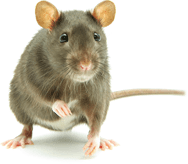 We are here to help create a safe and pest-free environment for our local homes and businesses. Call us and see what this friendly neighborhood pest control company can do for you. Awesome customer service and did a great job. Very professional company and you can tell they are run well. No more spiders! I will definitely use them again. Got these guys to come in and take care of my house and they did a great job .. costumer Serivce was excellent and extremely professional .. I recommend this guys to all my fellow homeowners ..